Every maker has a story. Be a part of LadyBagsSF's story by placing an order, leaving a review, and seeing your review appear here. This is our newest edition ! 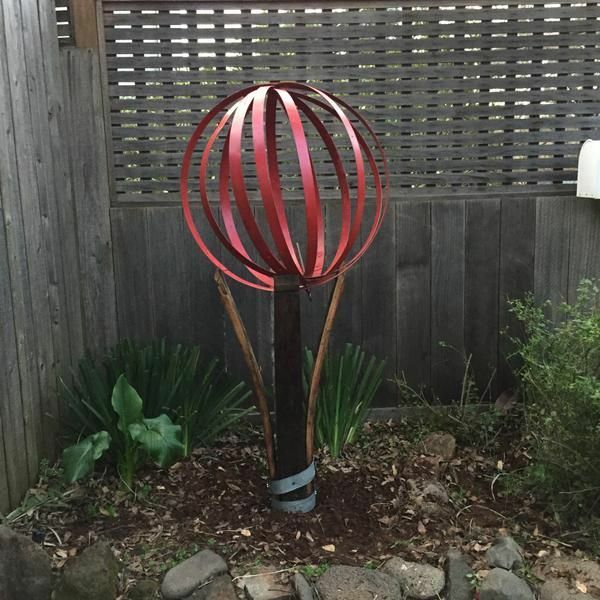 This is a red wine barrel sphere with wine barrel stave stand. We have reclaimed the wine barrel, broken it down, cleaned, and sanded it. Then we have coated with metal bands with red rust-oeleum which will help keep the metal from tarnishing and also give it a vibrant red color. 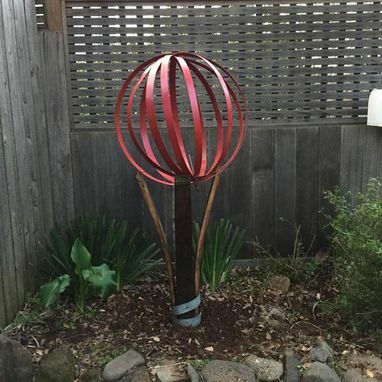 The metal bands include 6 different bands that are mounted together in a sphere.